Project Perfect Mod :: View topic - The Second Tiberium War 2.1 has been released! The Second Tiberium War 2.1 has been released! 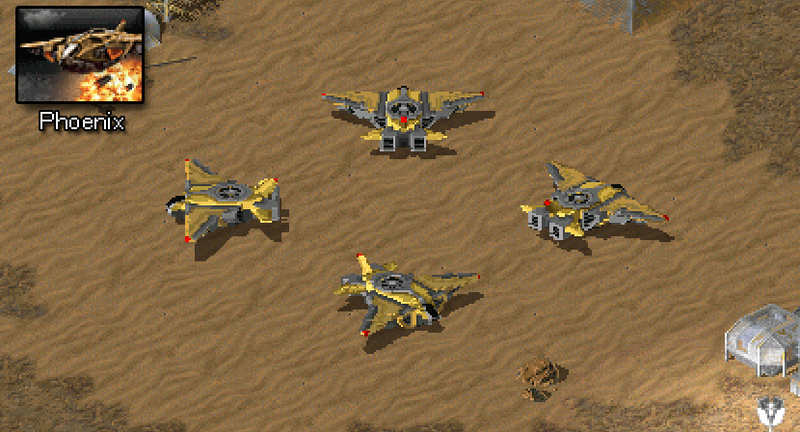 Posted: Fri Apr 05, 2019 4:01 pm Post subject: The Second Tiberium War 2.1 has been released! Subject description: Forget Coca-cola and Pepsi! The tiberium future lies in the Sugar-Kane Cola! "There is mirage in the distance that all game designers aim for where the game feel becomes just right. No game would I say has ever achieved that perfectly, but I believe that The Second Tiberium War has come closer than ever before. It is an ongoing search to find that diamond in the rough and it may seam impossible, but it isn’t, and it’s the journey there that makes us grow. Skills over time will improve and discoveries are made and with all things learned, one must press on to the end. 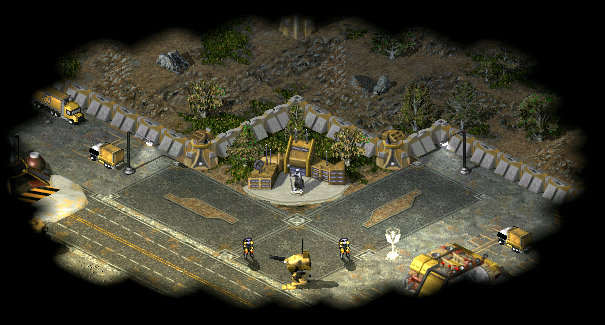 Do I believe Tiberian Sun has the potential to reach that milestone of greatness, Yes I do. That is my goal with this project, and doubt is one’s greatest enemy. For it is not the limitations of the game that prohibit you, but your own belief on how far you can go." What you’ve all requested for the past several years is now here, campaign missions! Version 2.1 features a 12 part campaign that tells the story of the Second Tiberium War when the world dominating GDI is challenged by the return of the Brotherhood of Nod. You will follow along a brand new story with new characters that shows the perspective from both sides as events unfold. You will play both GDI and Nod as you move toward the final conclusion. Missions can be replayed at your convenience as you are not forced to play them in order, though I do recommend it. Explosions are fun, and now are even more enjoyable as new debris and effects have been added to all faction vehicles and aircraft. 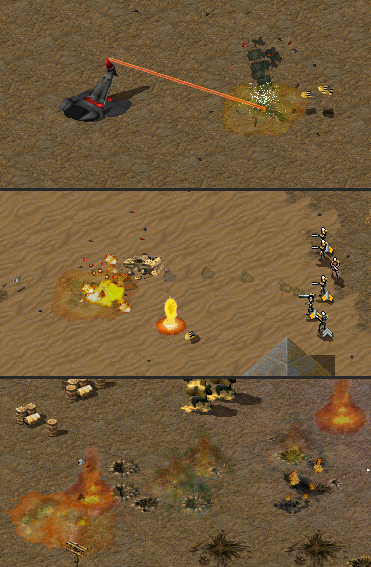 Some have unique debris such as tiberium from the harvester or turrets from a tank go flying off into the distance. 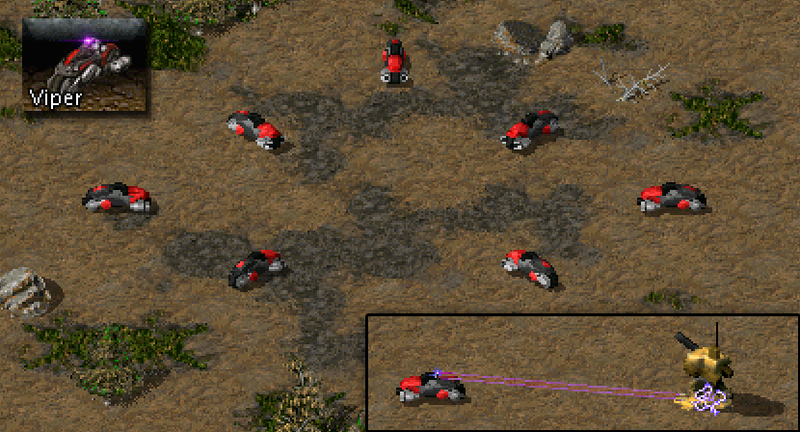 One of the most requested mechanics that was not present in previous versions was subterranean vehicles. Well that's all about to change as GDI has just revealed their new subterranean vehicle the Armadillo. Armadillo - A light armored subterranean assault vehicle fires bouncing grenades that explode on impact with enemies. 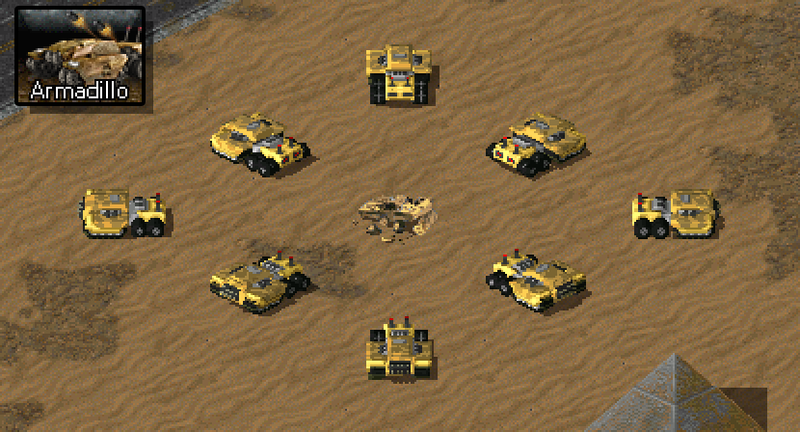 Since pavement is not available for construction, the Armadillo is a powerful vehicle for harassing the enemy and is available with the Titan as a Tech II vehicle. Nod will see the removal of Termite Drones and Mobile ECM platforms but do not worry, their mechanics will still be available. Land mines will now be constructed straight from the construction yard and the Mobile EMC platform is now a Mobile EMP vehicle. There is also the addition of the new Viper Bike. 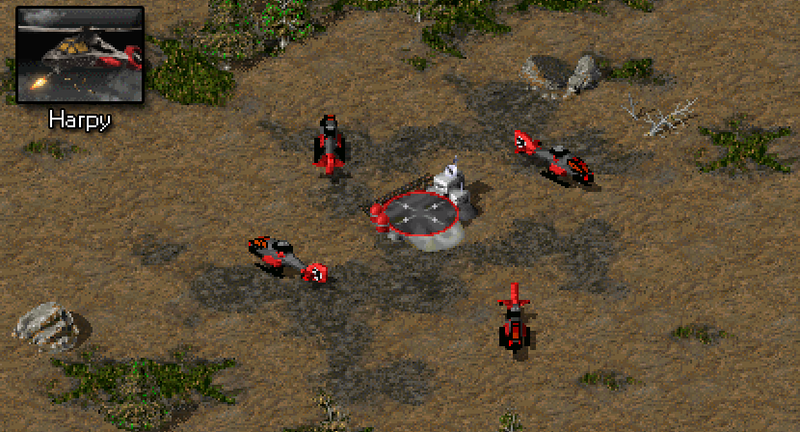 Viper - the New Viper is a upgraded Recon bike from the first tiberium war that has now been equipped with a ranged EM beam that disables vehicles and structures. When used wisely the Viper has the ability to disable even the most powerful vehicles such as a the Mammoth or Terror flame Tank. I took special attention to aircraft in this update changing how they function and looked. Nod’s light aircraft, the harpy, will see an entire overhaul with model and icon and the banshee’s voice and weapon has been much improved. GDI’s orca now has ammunition with a little more firepower and the orca bomber has been replaced with the Phoenix, an aircraft to be feared due to its strength and firepower. Cities have seen a revitalization with a whole host of new civilians and vehicles such as doctors, police, business men, city busses, vans, swat vehicles, commercial jets, garbage trucks and much more! Visuals have also been improved as street lamps and additional building have been added to both rural and urban environments. Also a special thanks to those that uploaded community assets on Project Perfect Mod forums. What’s in store for the future you ask? Much, as there are many more additions and improvement to be made as bringing out the maximum potential that Tiberium Sun has the offer is my goal. In future content you will see event maps such as wave defense, redone UI both in and out of client, and the addition of Naval warfare which I have already began working on. I thank you for the support of this project and always appreciate your reviews and insights. 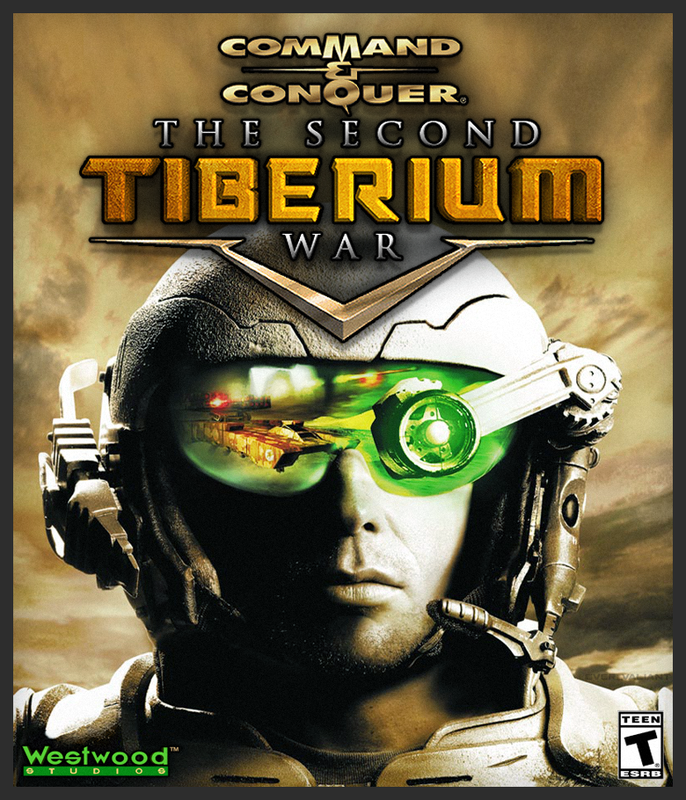 Now go and enjoy The Second Tiberium War, it’s free! Hmm... yea. The ugly copy and paste mess up. I thought I was copying the url of Tiberian Sun Second War while I was pasting the previous data that I had copied, which was his name. And I didn't pay attention to that, of course. i was excited to see the harpy but it is very blocky looking and the bright red blocks dont help. doesnt look smooth enough. Voxels aren't my area of expertise, I could look more into painting the normals and possibly making the voxels larger with downscaling. Pretty sure these sugar-Kane colas cause people to join Nod. I was recently informed Sugar-Kane Cola is actually just water, sugar, phosphor acid and a tint of liquid Tiberium. I'll take a whole truck, thank you.